Internal, longterm use may interfere with the absorption of iron and other minerals. Native to Europe and Asia, catnip is now naturalized in North America, growing in dry roadside places and in mountainous regions up to altitudes of 5,000 feet. This member of the mint family is a downy, aromatic perennial, growing to three feet with heart-shaped, toothed, grayish-green leaves and whorls of white flowers with purple spots. The leaves give off a pleasant, minty aroma when crushed; and are gathered when in flower in summer and autumn. In 1735, the Irish herbalist, K'Eogh, stated "It provokes urination and menstruation; it expels the stillborn child; it opens obstructions of the lungs and the womb; and it is good for internal bruises and shortness of breath. Drunk with salt and honey, it expels worms from the body." It is best known for inducing euphoria in cats — housecats, lions, tigers, etc. All display similar symptoms which last about twenty minutes — it has the opposite effect on humans and used mainly to calm the nerves and induce sleep. The plant can be difficult to grow if there are cats in the neighbourhood. It has a long tradition in England and France as a kitchen aid and medicinal herb. It was also used occasionally as a stimulating drink until the introduction of black tea. 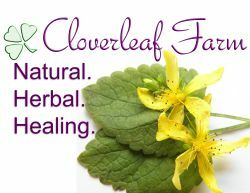 It has been used for over 2,000 years as a medicinal herb. Colonists brought it to the "New World". Several Native American tribes used it to treat coughs, colds, pneumonia, sore throats, fevers, and colic. The Mohegan tribes relieved infant colic with a tea made from the leaves. Substances in catnip have a mild hormonal effect similar to that of estrogen. The aromatic oils stimulate the flow of gastric juices and aid digestion. Other substances appear to have a calming effect on the CNS (central nervous system) and can induce drowsiness. Infusions are used to treat colds, colic, and fevers. Capsules are used for headaches and nervous disorders. Liquid extract is used when stronger doses are required. Tinctures make a good friction rub for rheumatic and arthritic joints. Ointments are used to treat hemorrhoids. Shampoos made from an infusion are used to treat dandruff. Lotions are used for treating acne. Catnip is markedly antiflatulent and settling to the stomach, often used in cases of colic. A very weak tea can be given to babies to relieve gas and symptoms of colic. It is especially helpful in treating headaches related to digestive problems. Since it powerfully stimulates sweating, it is useful in bringing down fevers. It can also ease coughs and other cold symptoms, treat minor diarrhea, alleviate menstrual and muscle cramps, and repel cockroaches. Gentle and pleasant tasting enough, especially when combined with elderflowers, that even children take it readily. The leaves have a mild antibiotic effect. Therefore, crushing them and placing them on minor cuts and scrapes before bandaging, may protect the wound from infection while promoting healing. They also make a good poultice. Catnip is sometimes mixed with boneset, elder, yarrow, or cayenne as a treatment for colds. The essential oil is used in aromatherapy. Adding a few drops to the bathwater or massaging some of the diluted oil into the skin has a calming effect. The dried leaves can also be used to make a pillow that can be slipped into a pillowcase to promote sleep.